BlackBerry CEO still believes he can save the company | BlackBerry Blast! BlackBerry marketshare is still on the decline but new CEO John Chen believes he can save the company. Speaking at Re/code’s Code conference in California, Chen told the crowd, “I am quite positive that we will be able to save the patient.” He previously set the odds of a turnaround at 50/50, but now says it's more like 80/20. 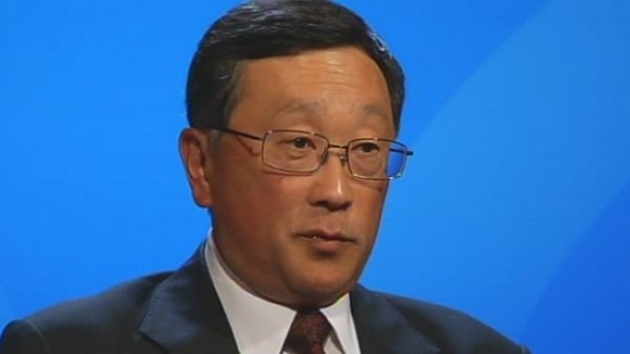 What makes Chen so positive about BlackBerry? Does he know something nobody else on the planet knows? Maybe, but it's not likely. He may be able to save BlackBerry from total extinction, but the days of BlackBerry being a top tier device provider are over. BlackBerry will instead go after software as a revenue generator. Chen said in an April interview that he’s giving the company six to eight quarters to replace declining hardware sales with higher-margin software revenue. Monetizing BBM and opening BlackBerry software to other platforms will increase revenue and possibly put BlackBerry on a path to acquisition. That outcome would be a good save for Chen. Can he do it? We'll see.